In an interview we did almost a year ago, Caleb Hart told me: "Over the years I would write songs that I knew were not meant to be Tasman Jude songs. I didn't know why, but I would be like 'Ah, I think I need to save that one.' So now I have almost 2 full albums worth of Caleb Hart music that no one knows!". Well, the last part of this statement has to be modified with the tiny word "yet", as the Canadian artist who grew up in Trinidad & Tobago works hard on putting out this accumulated material. 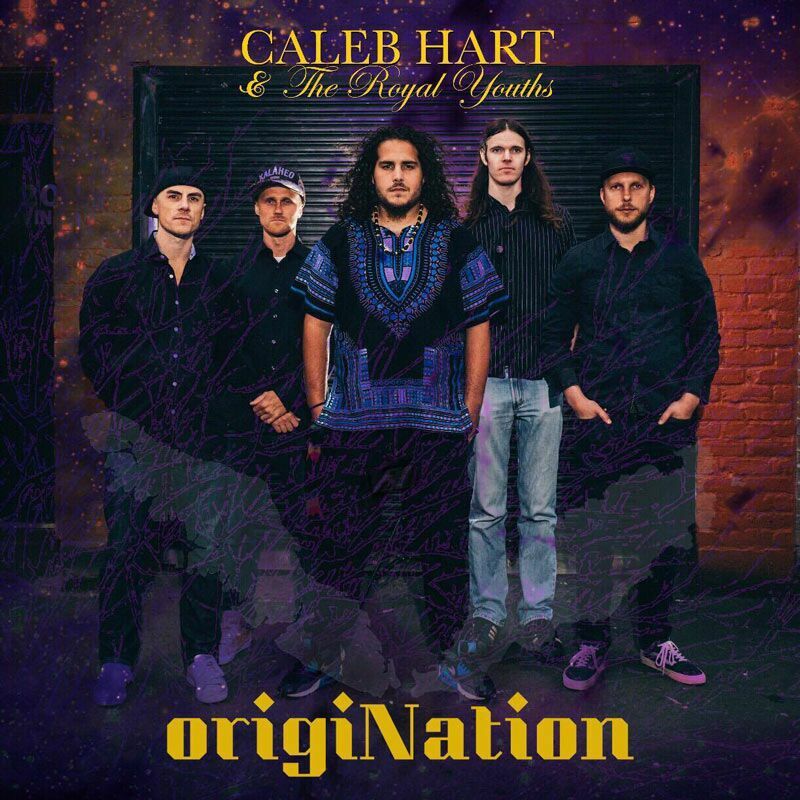 After the Christmas release White Diamonds last winter and the Island Soul EP this summer, Caleb Hart is back with another piece called origiNation. 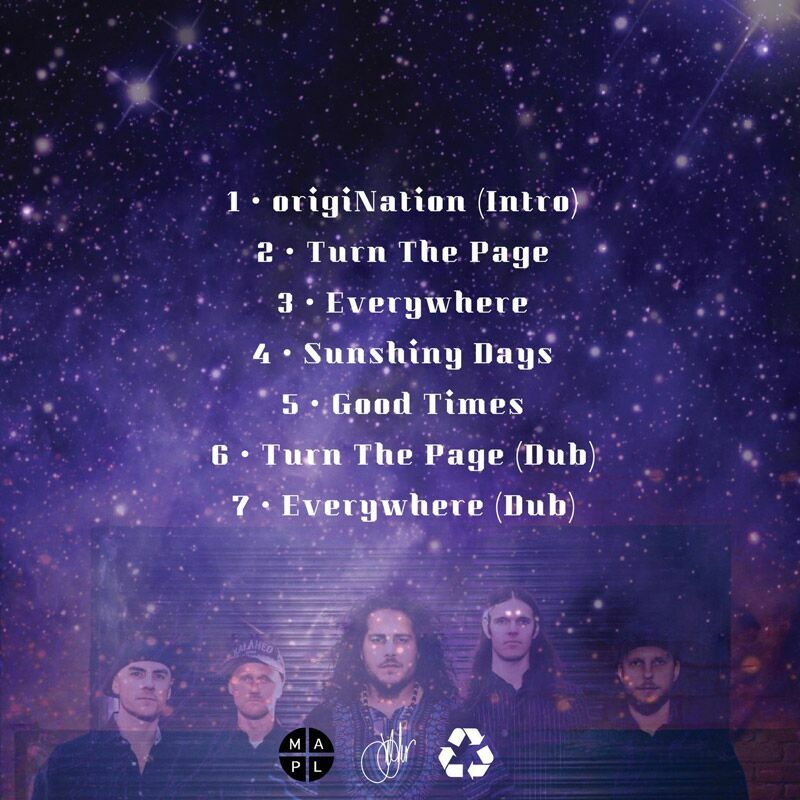 Four tracks and two dubs present his new musical companions called The Royal Youths, consisting of Rhett Reilkoff (guitar and dub-production), Karl Williaume (bass), Andrew Greenwood (sax) and Liam Mackenzie (drums). Even though they all well know how to work their instruments, the music has a kind of garage-band, practice-room sound, and enriching elements like saxophone-soli come in quite late and infrequently. The royal groove still waits to be discovered by these youths! Thematically, Caleb covers a wide range despite the small number of tracks. Turn The Page voices the people's cry against oppression, while Everywhere is an ode to the lady who occupies his mind and Good Times lets "the love of music take control". Best part of the EP, for me, is the encouraging Sunshiny Days with a feel-happy beat and refreshing rap-parts. 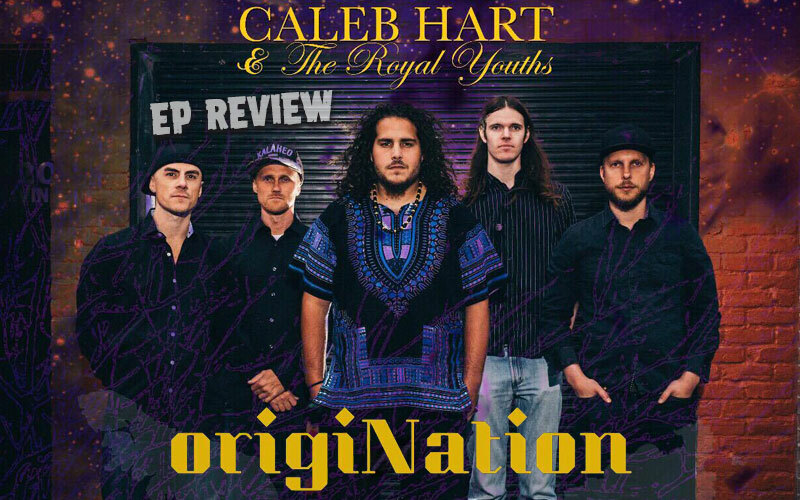 origiNation is certainly a welcome treat for all Caleb Hart and Tasman Jude fans (especially the latter are deprived of new output as the band went on an indefinite hiatus), but with all the amazing, high-quality releases coming our way in this 2017 Reggae Universe, I'm afraid it won't stir up much attention. Oh, and in case you wonder about the title, take the explanation laid down in the intro by family-member Brent Hart: "Origin means beginning or foundation. Nation usually is defined as a large group of people with common characteristics attributed to them. Origination is the combination of both."